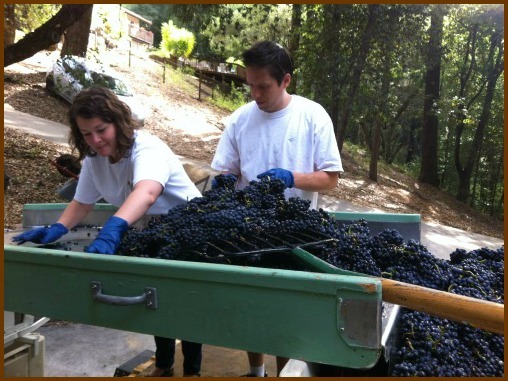 The 2014 harvest has started at Villa del Monte Winery. 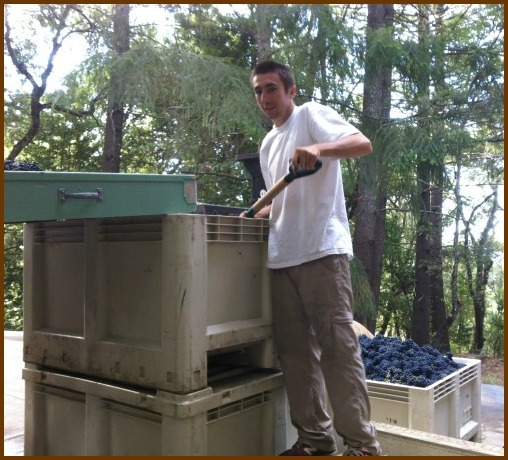 On Saturday, we harvested Pinot Noir, our first grapes for the 2014 season, from two small vineyards in the Summit Road area. 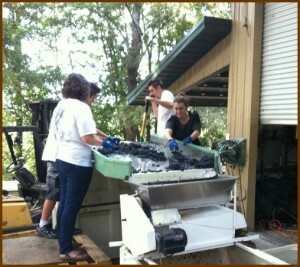 Our field crew started picking the grapes at 8 am and we finished processing the 4-1/2 tons of Pinot before noon. The grapes from the William Vincent vineyard, located about a mile from the winery, arrived first. 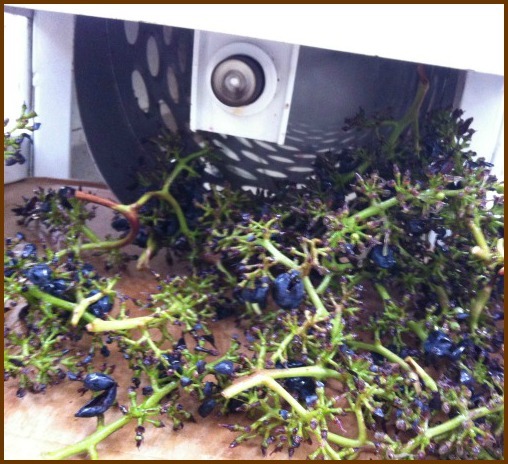 The grapes were loaded onto the sorting table and hand sorted to remove leaves and overripe fruit before being loaded into the crusher. The resulting mixture of juice, pulp, skins, and seeds is called the must. 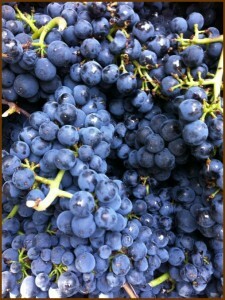 Pinot Noir gets its light red color from the skins which also contribute to the tannin structure. 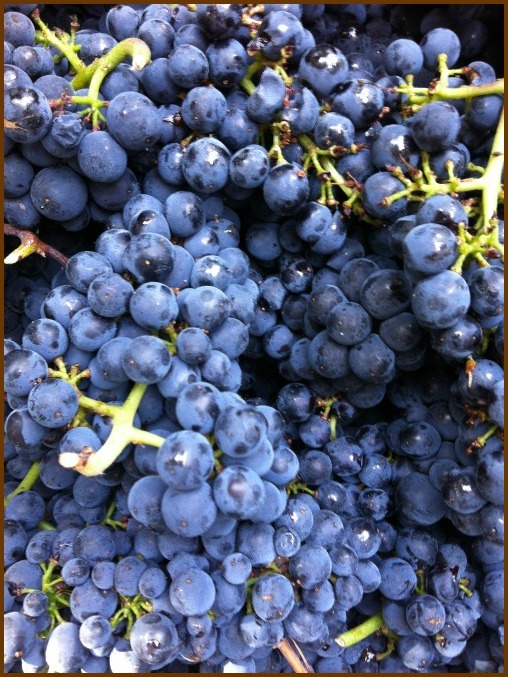 Just as we were finishing with these grapes, the fruit from the second vineyard, located in the Miller Hill area near Summit Road, arrived. We quickly went to work sorting and crushing these grapes, with the goal of finishing before the August heat set in. 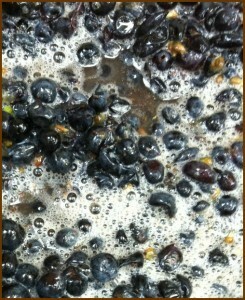 After all of the grapes were crushed, we added yeast to the must in order to start primary fermentation. Over the next week or two, the yeast will convert much of the sugars in the must into alcohol and carbon dioxide. The carbon dioxide will dissipate into the atmosphere. 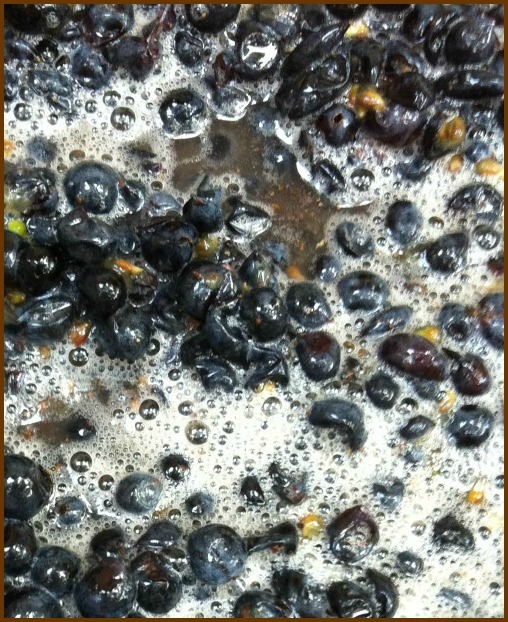 And the 2014 wine will be on its way! Of course, we still have to go through pressing, secondary fermentation, aging, bottling and more, but we have finished the first step! In the spirit of being a family-owned and operated winery, winemakers Neil and John recruited their families to help sort and crush the grapes.